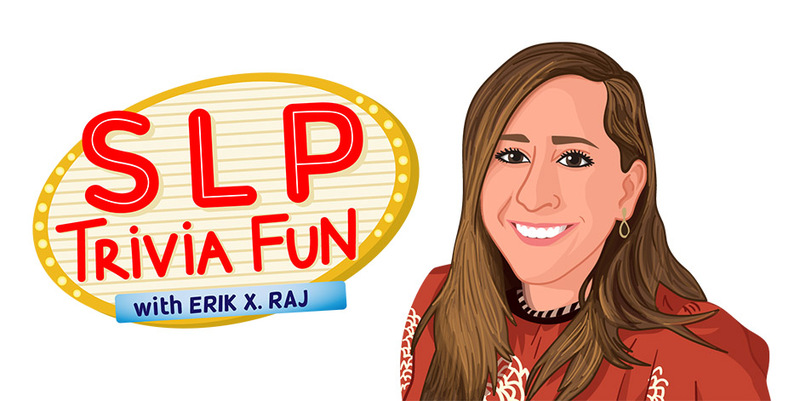 Hooray for the 5th episode of SLP Trivia Fun! It was honestly a pleasure to have John Gomez, from Los Angeles, California, on this latest installment to talk about a bunch of movies that kinda have to do with communication difficulties or disorders. And here’s the thing, John really knows about movies because in addition to being an awesome SLP, he’s also a documentary filmmaker. But not just any documentary filmmaker; he’s the man behind the award-winning documentary called When I Stutter. Grab a tub of popcorn and let’s get rockin’! Who played the part of Temple Grandin in the 2010 biographical drama film of the same name? Who played the part of King George VI in the 2010 historical drama film called The King’s Speech? There really are so many similarities between being a clinician and being a documentary filmmaker and I throughly enjoyed exploring all of that with John. This episode is jam-packed with goodness and just so you know, if you’re a fan of Star Wars and Arnold Schwarzenegger, you’ll giggle A LOT during a couple of parts. Trust me. So yeah, give episode number 5 a listen right HERE and let me know what you think. Thanks! Boy oh boy, do I have a treat for you? 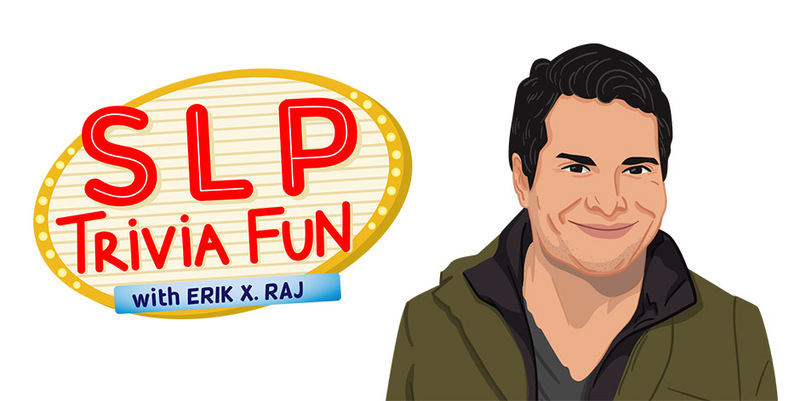 Episode number 4 of the SLP Trivia Fun podcast is now live and ready for your ears. Lucas Steuber, from Portland, Oregon, is here for this installment where we talked about all things tech. And I can’t think of any clinician better to have fun, tech conversations with because he’s one of the hosts on the Talking With Tech podcast and the co-founder of SpeechScience. I’ve personally known this gentleman for many years and anytime we have the opportunity to get together, it’s always a good time. Apps, iPhones, and iPads, OH MY! When was the first generation iPhone released? What other names were considered when Apple was discussing the product that would eventually be called the iPhone? 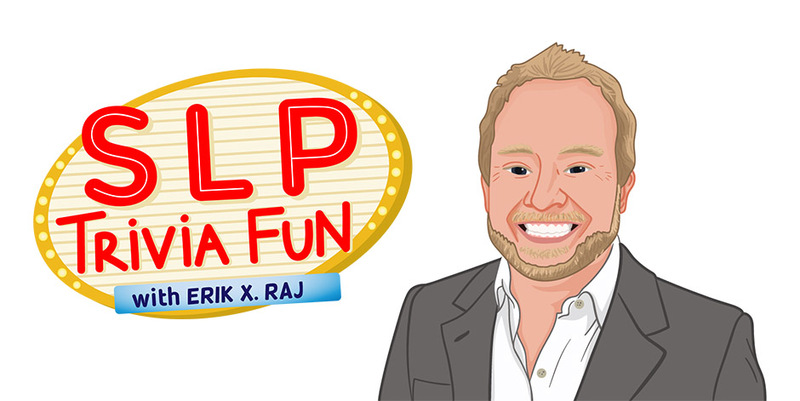 From tech discussions to random conversations about the 90s sitcom Saved By the Bell, this episode will absolutely bring a smile to your face. Give it a listen right HERE and let me know what you think! Welp, my latest speech therapy app is now live and I’m beyond excited. It’s called Sticker Picture Articulation and it has to do with exactly what you think it has to do with . . . STICKERS! 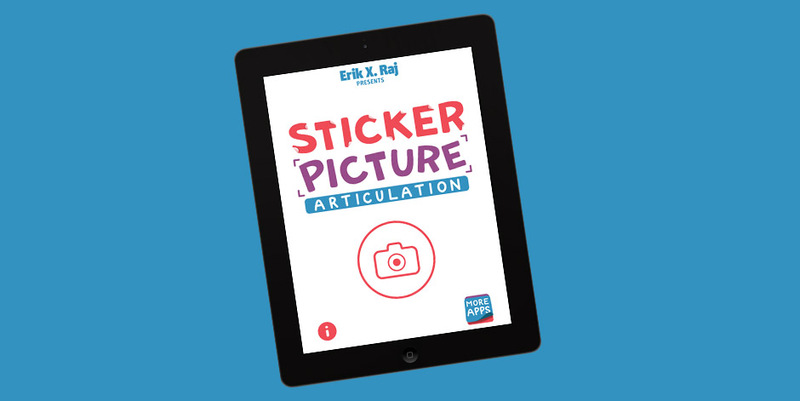 In short, Sticker Picture Articulation gives a youngster the opportunity to snap a photograph of his or her surroundings and, with a few taps; they can add a number of sound-specific stickers right on top of the photograph to create their very own articulation-specific picture! Articulation-specific picture?! What do you mean?! Then, as seen below, the app will direct you to choose your target articulation sound (pick from S, Z, R, L, S/R/L Blends, SH, CH, or TH). Next, let’s choose the /S/ sound at the initial position of words. 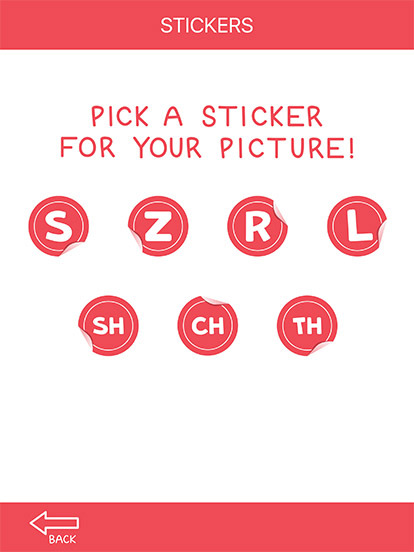 As you see below, the app brings you over to a bunch of initial /S/ stickers that can be placed on top of the photo you took. Scroll up and down to see all the stickers! Once you find a picture that tickles your fancy, all you have to do is tap the “ADD” button and BAM! 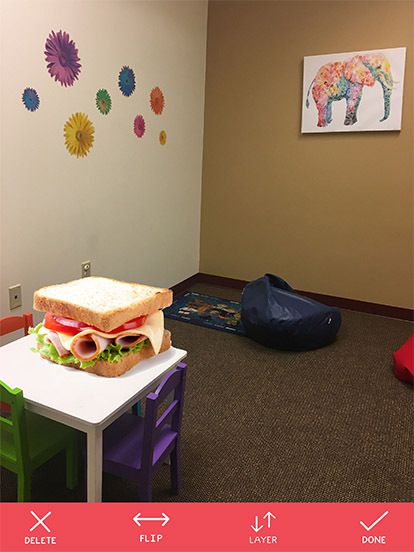 You now placed the ‘sandwich’ sticker on that photo you took! And you don’t have to stop at just that one ‘sandwich’ sticker. Sticker Picture Articulation allows you to add as many stickers as you want. So go nuts with your articulation-specific picture! Stickers galore! Woo hoo! Oh! So THAT’S what an articulation-specific picture is?! That’s so cool! You bet it’s cool! Dare I say that this is one of the coolest speech therapy apps out there. And I know, I know, I’m the one who created the thing, so yes, I’m totally biased. But really though, this speech therapy app is oodles of fun and it really get’s children excited to practice their articulation. 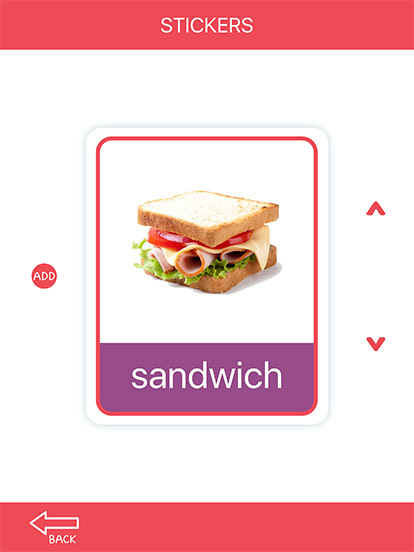 Tons of sound-specific stickers: with just a tap of a finger, children and clinicians can instantly add one of over 450 sound-specific stickers directly to their photo! 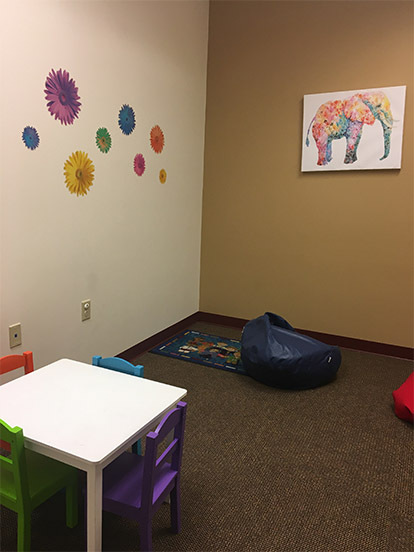 Loads of giggles: before, during, and after each sticker picture is created, oodles and oodles of laughter will fill the speech therapy room! A spectacular save feature: after looking at and talking about your sticker picture, tap the Save button to save it directly to your device’s camera reel! I invite you to use Sticker Picture Articulation to spice up your speech therapy sessions. All of the sound-specific stickers are intended to initiate excitement and humor. And in all honesty, each articulation-specific picture you or your clients create has the potential to spark conversations that could lead almost anywhere. Even an articulation-specific picture that appears simple can trigger a unique thought that surprises all parties involved. So what are you waiting for? Let your imagination run wild and have fun with this one of a kind digital speech therapy material! More information about this app can be found right HERE. Topic: Speech Therapy App, Speech Therapy Idea | Visit my blog archive for more! Happy 2018 to you and ours! January is finally here and that means it’s time for another podcast episode of SLP Trivia Fun. Episode number 3 can be listened to right HERE and it features Bri Jennissen, my good buddy, from Minnesota. She’s a terrific SLP who works in a private practice with kiddos and, let me tell you, she’s one heck of a clinician. I’ve worked together with her over the past two summers at Camp Shout Out and it was an honor to have her on SLP Trivia Fun. According to the most recent U.S. News and World Report Best Grad Schools Rankings from 2016, Vanderbilt University is tied with one other school as the number 1 graduate school in speech-language pathology. Which school is tied with Vanderbilt University? Hmm . . . good question, huh? If you want to know the answer, you better listen to episode number 3, babe. According to asha.org/edfind, as of December 2017 there’s only one state in America that does not have a master’s degree level program in speech-language pathology. What state is it? Hmm . . . another good question. Does Bri get this one correct?! According to asha.org/edfind, there are a number of universities where you can study to get your Ph.D. in speech-language pathology. How many universities offer a Ph.D. in speech-language pathology? Wow! Another good question?! And two think there’s another 2 questions in the mix?! Life sure is good! I highly recommend this episode if you’re an SLP who loves the states of Minnesota, Iowa, Tennessee, ummm . . . lakes, Harry Potter, corny jokes about fruit, and Seventeen Magazine. Because, just in case you couldn’t guess, all of that random stuff is mentioned in this latest episode. Thanks for listening! Love ya!